This service gives your users unlimited access to our helpdesk where you can speak to our highly qualified engineers (Click to find out more information on our engineers). Our engineers can securely access your computer remotely to fix your software problems. Please call us to discuss the best cover options for your business. Our onsite software support gives all the advantages of our remote software support. If your issues cannot be fixed remotely there is no additional fee for an engineer to visit your site. Included in this service are quarterly engineer visits to ensure your systems are running efficiently. Business Software Support is our most comprehensive service where all software support is included. Unlike our other services this is packaged per business and includes the installation and configuration of new hardware. This service is ideal for growing larger businesses with a single monthly cost for all support. 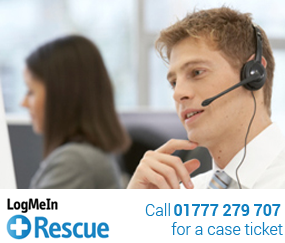 We currently supply remote support to our customers internationally. 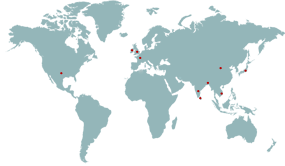 To see these countries please hover your mouse over the dots on the interactive map.